Bold prediction or reality, you decide. 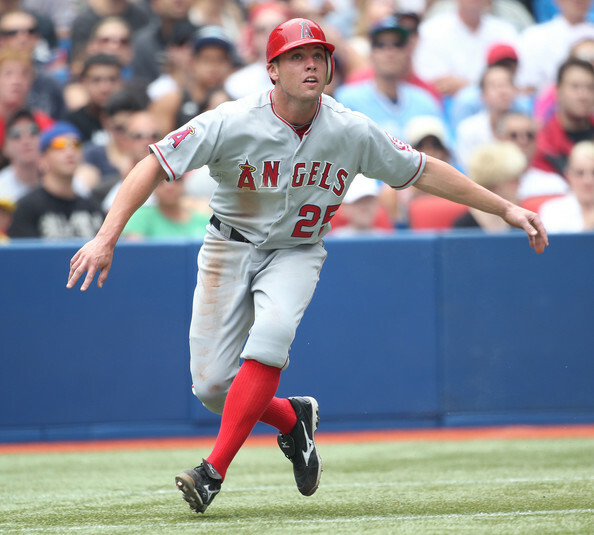 Peter Bourjos was moved into CF – and the LA Angels then shifted Mike Trout over to LF, based on the range of Bourjos as an OF, (talk about a ringing endorsement). He is fast, and has shown that he can be a catalyst in a lineup. His best year was in 2011, where he played a full season, 3 Slashing .271/.327/.765 – with 12 HRs, an AL leading 11 – 3B, 26 – 2B – and added 32 SB. 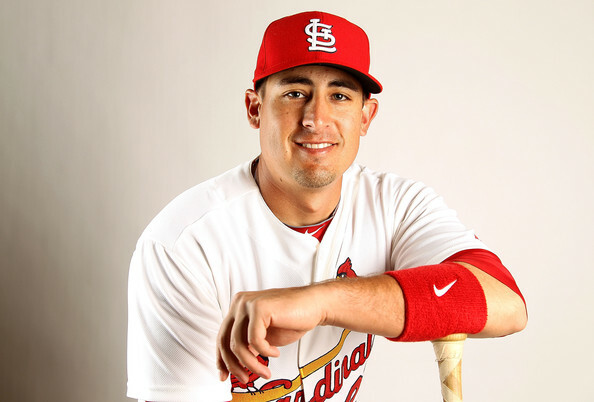 The Cardinals will have him patrol CF with them in St. Louis. Bourjos has 3 years left of Arbitration, while Freese only has 2 years left. The Angels also swapped their top OF prospect in the deal – for help in Reliever (but trending down) Fernando Salas. In the offseason, St. Louis sent home grown St. Louis native and former World Sereis MVP David Freese, and relief pitcher Fernando Salas out west to the Angels in hopes of bolstering an already deepened outfield. In return the Cardinals acquired two well respected outfielders: Peter Bourjos and Randal Grichuk. While, Bourjos may not be an offensive upgrade for the club he provides a massive defensive improvement that the Cardinals felt a viable risk to make. Bourjos will take on the task of lightening the positions of Holliday and Craig. With the latter having spent two months on the DL last season with a foot injury, he should settle quite nicely in right. It’s worth noting that Holliday finished the 2013 season strong hitting .300, marking his 10th consecutive season hitting .290 or better. 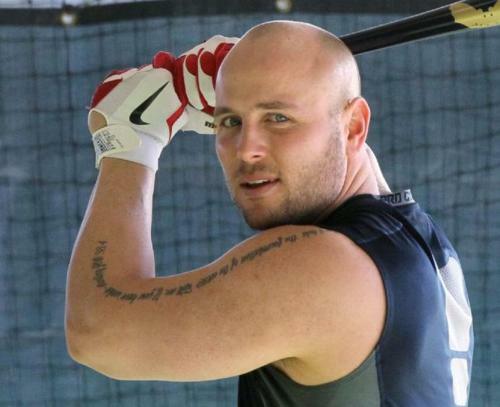 Matt Holliday was given the richest contract ever by the organization prior to the 2010 campaign. It was a daring move by the squad, as it made it tougher to resign their franchise player Pujols a few years later than that. 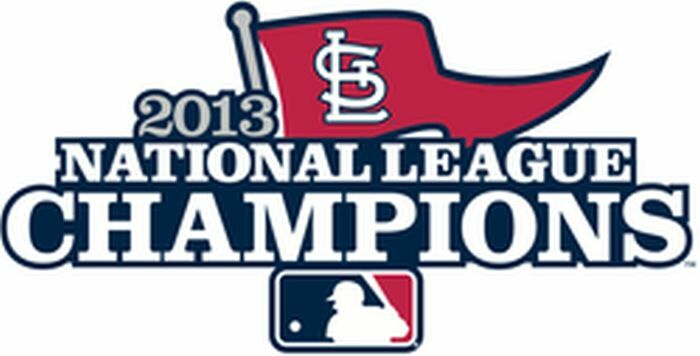 But this has been a blessing in disguise, as the team has appeared in 2 World Series in the last 3 years, and made it to Game #7 of the NLCS in the other for 2012. Holliday is the one offensive player they locked up. He makes $17 MIL to Pujols – $25 MIL per annum. The Cards did okay even between these 2 guys. Holiday, now 34, carries a 3 Slash for Cards at .306/.389/.520 during his 5 year tenure, with 112 HRs and 429 RBI in just 2396 AB (approximately 4 full years). 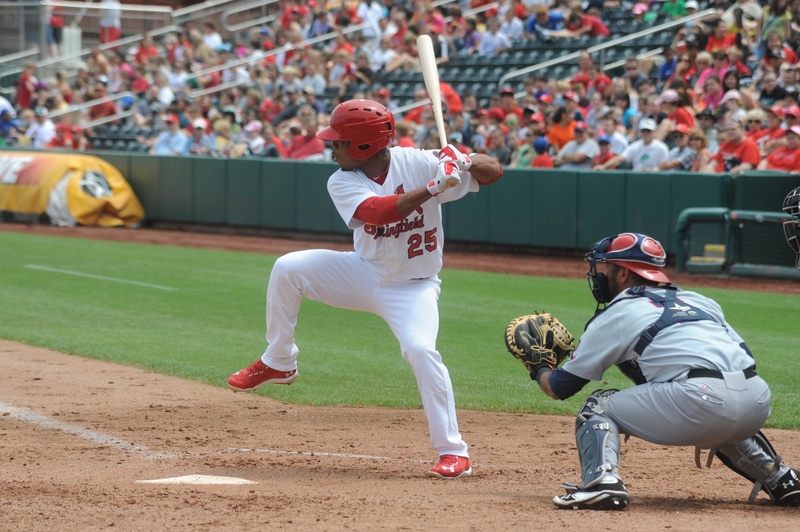 St. Louis also has a highly touted outfield prospect on the horizon in Oscar Taveras. He has been called the best hitting prospect seen by the Cardinals since former All-Star and MVP Albert Pujols. At this point it isn’t a matter of if he will crack the Majors, but when. The infield for the Cardinals will look a lot different in 2014. If Oscar Taveras cracks this squads starting lineup at any point this year, you could see Allen Craig move back to 1B – and the team could have Matt Adams potentially there for more depth. Taveras is still listed by Baseball America as their 3rd top prospect. Having his talent unleashed in 2014 will give the roster an incredible boost, and also provide injury insurance for the squad. Peter Bourjos has a tough time staying healthy for full years, so to have this talented a guy as your 1st callup from the Minors should provide to be electric. Matt Adams should take on the full role of the everyday first basemen. Rookie, Kolten Wong is being eyed to be the starter at second. If things don’t start out well for him, St. Louis acquired veteran Mark Ellis as insurance. With the departure of Freese, St. Louis opted to move Matt Carpenter back to his familiar role at third. Matt Carpenter started the majority of his games in 2013 at Second Base, a position he had never played in the big leagues until last season. 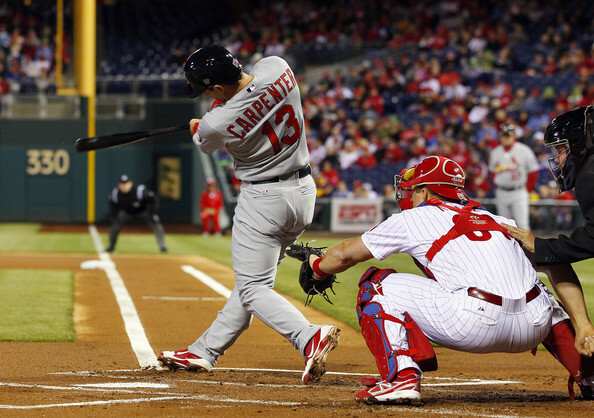 Carpenter led the NL In Runs Scored (126), Hits (199) and Doubles (55) in 2013. Lets see if a defensive move back to the hot corner affects his 2014 campaign. The team rewarded the 28 Year Old, with a new 6 YRs/$52 MIL contract within the last week. So, with Wong at second and Carpenter at third Mozeliak needed a more reliable offensive shortstop option. Yes, Pete Kozma had an amazing run in the Postseason back in 2012. Let’s be honest though, that’s all he has done since. With Kozma being a sore in the lineup, Moz and the front office went to work quickly and quietly to acquire Jhonny Peralta. The Cardinals put aside his suspension and ties to the Biogenesis agency to get what they felt was a reasonable and cost-effective option to help improve their offensive numbers. Having Jhonny Peralta man the SS position in 2014, should serve as a considerable offensive upgrade over Descalso and Kozma from 2013. The 31 Year old hit for a 3 slash of .275/.332/.433 during his 3 year run with the Motown Boys. Those numbers are more apropiate for the guy compared to the .303/.358/.457 he posted in a PED suspension year. As a longtime Cardinals fan, I believe the front office has always put the best interest for the fans and the team first. I believe Peralta’s days of PED’s rumors and ties are done. Let’s move on. Do I even cover the catching position? Any person with any remote baseball knowledge knows that St. Louis will have the same person behind the plate they’ve had for years. Yadier Molina is putting up a late bid for a Hall Of Fame Career. He has significantly improved his offensive numbers over the last 5 years, while still being the quintessential backstopper in the MLB (Defense wise). This season, the 30 Year Old 3 Slashed .319/.359/.477 – with 12 HRs and 80 RBI in just 136 Games Played. Had he not been hurt, the guy could have won the NL MVP hands down. Molina is also clutch in his 272 Post Season AB, he is .298/.357/.395. The Cards have him locked up until 2018. 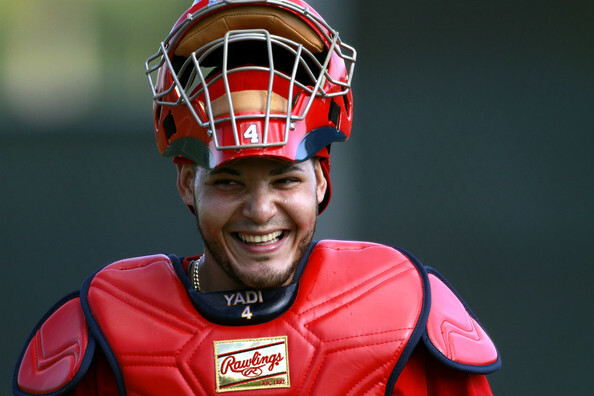 But just to make you happy I will.The Cardinals veteran catcher and fan favorite Yadier Molina will again be one of the biggest assets of the franchise this season. Molina will not only do what he does best (throw runners out and manage the pitcher,) he will continue to improve at the dish as well, solidifying why he is now a perennial MVP candidate. Craig had a .300 Avg through his first 3 years and he had 3 HRs and 5 RBI in the 7 Game World Series win vs Texas in 2011. He helped soften the blow with Prince Albert leaving with his steady year of 2012 of .305/.354/.876 with 22 HRs and 92 RBI in just 469 AB. In 2013, he took it to the next level before a SEPT injury slowed him down. Still he posted a .315/.373/.457 3 slash with 97 RBI in just 508 AB. Among the totals he had, was a ridiculous .454/.500/.638 mark with Runners in Scoring Position, accounting for 83 of his RBI In 130 AB worth of work. If the 2013 ALL – Star could remain healthy for a full season, he could be another viable NL MVP candidate for St. Louis. Okay, so here is what he have so far. Two seasons into his managerial career, Mike Matheny has not been able to get the production he has wanted off the bench (with obvious exception being Matt Adams.) Whether it be to injury or just lack of power hitting, the bench has just not been productive. With Wong getting the starting spot at second and Peralta at shortstop, St. Louis picked up Mark Ellis for insurance purposes and as a nice bat off the bench. Having all three starting spots taken up in the outfield, Oscar Taveras will be the power off the bench once he emerges from the minors after he returns from his recent hamstring issue. Daniel Descalso will add a little speed off the bench along after subpar offensive numbers. Descalso offers a much needed left handing hitter off the bench. After a dismal offensive season from Pete Kozma he will move to the bench after the acquisition of Jhonny Peralta. Jon Jay will more than likely split the playing time with newcomer Peter Bourjos but that’s still up in the air. Of course injuries may also play a big factor in that – or the emergence of Taveras. If Jay comes off the bench more times than not, he will add valuable versatility for the Cardinals. In the past, he has tackled the role of utility quite well. Now, here comes probably the most interesting part of this team. 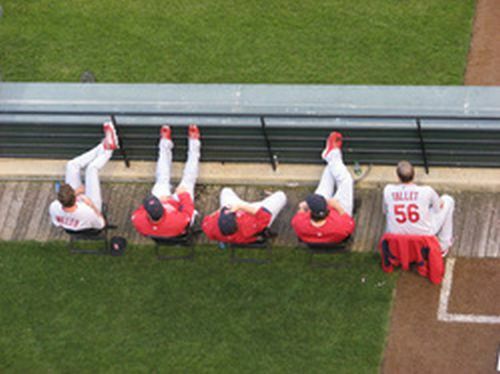 The St. Louis Cardinals pitching staff. Unfortunately, the Cardinals will not have a familiar face in the rotation after longtime Cardinal Chris Carpenter retired during the offseason. Wainwright has been money in the bank since the club acquired him. He is 99 – 57 (.635) with a 3.11 ERA. Wainwright finished 2nd in 2013 NL Cy Young Voting which meant a top 3 vote for the 3rd time in his last 4 full years played. The RHP has led the NL in wins 2x (2009 and 2013). He also has a 4 – 3 mark in PostSeason – with a 2.53 ERA in time as a Closer – and as a Starting Pitcher. Wainwright played on both 2006 and 2011 World Series Winners, and last year’s 2013 World Series Loser. First off, this Cards pitching staff doesn’t look a whole lot different from that of last season. However, they have incredible potential. Last season, a pitcher 26 or younger started 109 games of the 162 and 50% of the innings were thrown by rookies in the World Series. The month of September saw Joe Kelley (25) and Lance Lynn (26) combined for a 2.11 ERA, while Michael Wacha (22) had a 1.72 ERA. Shelby Miller (23) won 15 total games over the course of the 2013 season. Factor in all of these young arms for a full season behind Adam Wainwright (32), who tied for the NL lead in wins (19) and led in innings pitched (241.2) and you have a deadly rotation. 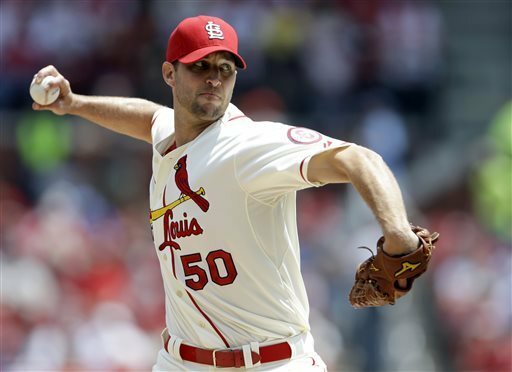 St. Louis will have its usual ace, Adam Wainwright, in the number 1 starting spot. From there on out it gets interesting. With how awesome he fared, some would say that this would be an even trade straight up. Michael Wacha, 22, was picked in the 2012 Conditional Draft Pick selection the Cards received for the Angels signing Albert Pujols in the winter of 2011. With how awesome he fared, some would say that this would be an even trade straight up. 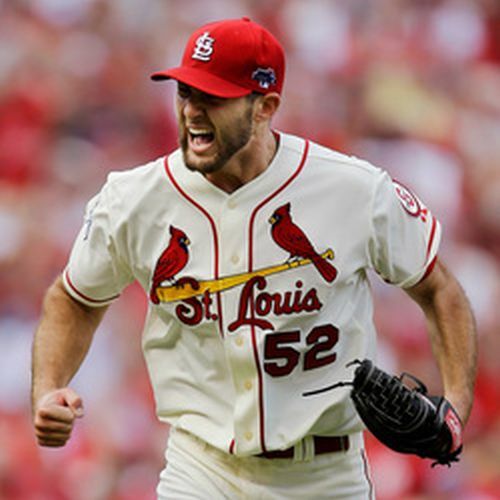 Wacha went 4 – 1, with a 2.64 ERA for the playoffs, however he was 4 – 0, with a 1.00 ERA heading into the World Series. Reigning MVP of the NL Championship Series, Michael Wacha ended the regular season with a near no-hitter and then won his first four postseason starts will likely be the number 2 starter. Rotation spot number 3 could be taken up by NL Rookie of the Year finalist in 2013 after he knotted 15 wins while posting a 3.06 ERA in 31 starts for the Cardinals. Given the right circumstances, Miller could flirt with CY Young candidacy this season. I have high hopes for this young arm. Lance Lynn, along with Wainwright, leads all NL pitchers with 33 wins over the previous two seasons, and one of two Cardinals pitchers to log 200 innings in 2013 (which coincidentally is also Wainwright) should plug in nicely at the number 4 slot. The fifth, and likely the final, spot in the rotation (because I don’t see St. Louis having a 6 man rotation) will be held by right-hander Joe Kelly until lefty Jamie Garcia is healthy after suffering discomfort in his throwing shoulder during Spring Training. Until Garcia returns, Kelly should repeat the success he had in 2013 when he posted a 3.03 ERA and 10 wins as a starter. Look to find him in the bullpen once Jamie Garcia is healthy again.Left-hander, Jamie Garcia will likely take over the fifth spot after undergoing left shoulder surgery and entering this season with an ERA south of 4.00 in each of his last four seasons. Overall, the Saint Louis Cardinals could and most likely will have the best starting rotation in the National League if not in all of Major League Baseball. Look for this rotation to have three or four 10 game winners this season. The Cardinals bullpen will provide some major power arms. There is no doubt that this bullpen is going to light hitters up every time they take the mound. St. Louis has a minimum of five relievers who throw 98 mph or better.Jason Motte returns sometime early this season until then, Carlos Martinez and closer Trevor Rosenthal will be the anchor of a talented young bullpen. Trevor Rosenthal (23) recorded 108 strikeouts over 75 1/3 innings in 2013. 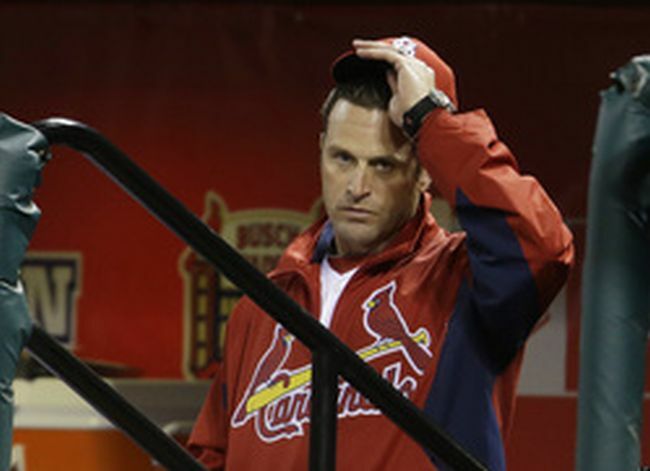 The last week of the regular season Rosenthal took over the closer job and assumed the position in the playoffs. During that span he threw 14 2/3 scoreless innings. As he assumes the role of closer, he will undoubtedly continue his success. The rest of the bullpen will look very similar to last season. The only major difference is Motte becoming a full time reliever instead of the closer. Kevin Siegrist (LH) could see himself as the setup man for Rosenthal after he emerged in 2013 with a 0.45 ERA in 45 appearances. In just 39 2/3 innings last campaign, he fanned 50 batters while having a WHIP of 0.882. In all, St. Louis is the front runner to take the NL Central yet again in 2014. 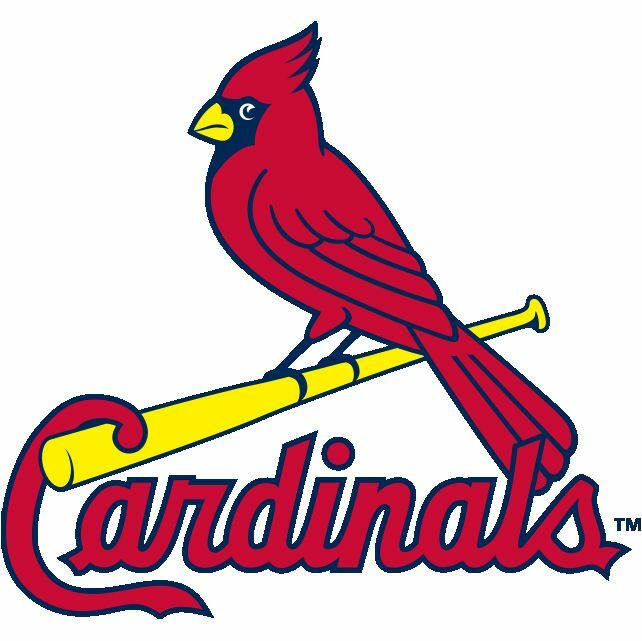 The Cardinals front office made all the right moves during the offseason after the Boston Red Sox defeated them 4 game to 2 in the World Series. Now, St. Louis looks to make another run at a World Series Title. If all goes well for Saint Louis in 2014, the Cardinals will be back in the World Series and this time it will be a Happy Flight..
Picture Captions were also contributed on this piece by ‘Chief Writer’ Hunter Stokes. A big thank-you goes out to Our ‘Guest Cardinals Writer‘ Steven Hines for preparing today’s featured article. 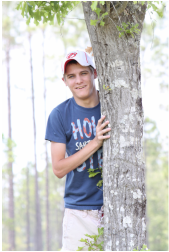 Steven is from the Natural State (Arkansas). He became a Cardinals fan in 1997 because of his late mother who was an avid fan. His passion for St. Louis Cardinals baseball grows more and more each year. This past July, Stephen was given the opportunity to participate in a Pop-Up Challenge at Busch Stadium from a facebook contest he won. This was a dream come true. Stephen’s favorite current Cardinal is Adam Wainwright with his all time favorite Cardinal being Jim Edmonds. Posted on March 12, 2014, in MLB Teams State Of the Unions and tagged 2006 World Series, 2011 World Series, 2014 St. Louis Cardinals Preview, 25 man roster St. Louis Cardinals, @hinesis2nd on twitter, adam wainwright, albert pujols, allen craig, biogeneis, boston red sox, Carlos Martinez, chris carpenter, Daniel Descalso, david freese, fernando salas, Jaime Garcia, jason motte, jhonny peralta, joe kelley, john jay, John Mozeliak, kevin siegrist, kolten wong, lance lynn, mark ellis, Matt Adams, matt carpenter, matt holliday, michael wacha, mike matheny, NL Central, oscar taveras, pete kozma, peter bourjos, randal grichuck, seth maness, shelby miller, stephen hines, Tony Cruz, trevor rosenthal, www.shinesuncovered.com, yadier molina. Bookmark the permalink. Leave a comment.